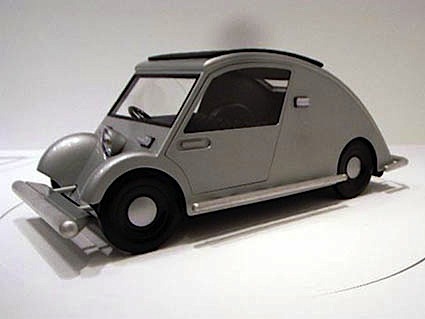 This week’s Design File is about the Citroen 2CV, the umbrella on wheels that Pierre Boulanger demanded. I have a particular love for this car as it reminds me of my very first ‘continental’ holiday when I was five. My family rented a cottage in Brittany and I can recall even at that age being fascinated by the cars, which looked so different from the ones in Britain. A valued souvenir of the trip was a model of the Citroen 2CV which I still possess (although I long ago snapped off the protruding headlamps). 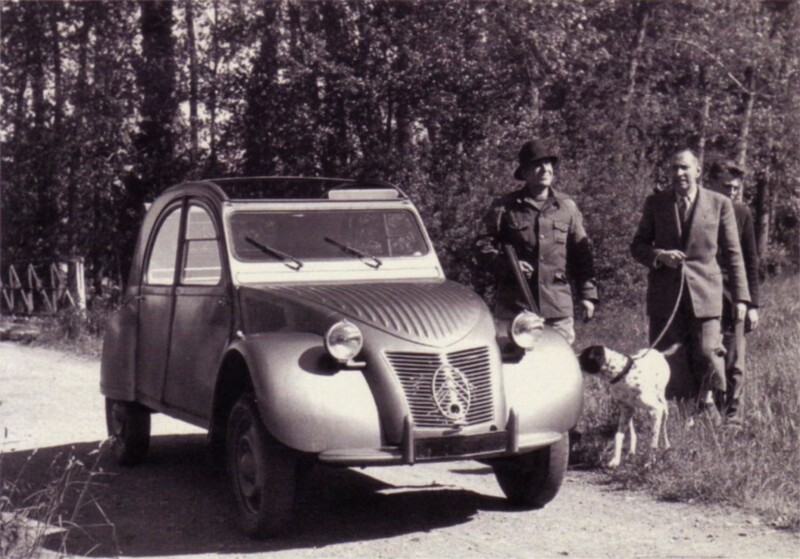 When I moved flat in my early twenties, I hired a Citroen 2CV from a company that hired out only bright red 2CVs. It was cheap to rent and I could remove all but the driver’s seat to pile in all my junk. Loaded up, I remember how it leaned alarmingly at every corner and how the chattering engine complained loudly as I drove up Putney Hill but it gave the day a tremendous sense of occasion and fun. In my twenties, my best friend inherited a 2CV from his older brother. While his brother was studying law in London, he worked as a caretaker of the building in which he lived. Every night, a homeless man would sleep in the Citroen. Although it became a bit whiffy in winter, it struck everyone as rather a sensible use of a car that was hardly used. Truly an umbrella on four wheels. I think Boulanger would have approved. My friend’s 2CV was notoriously unreliable, or at least it took a good deal of patience on a chilly morning before it started. Rolling back that roof was fun, though, and I thought that a car really didn’t need to be much more than that. I wonder if I would be alarmed now by its rudimentary nature having become used to Bluetooth connectivity, lateral seat support and electric everything. I suspect not – in fact, it might be rather refreshing. Le Corbusier was a great car enthusiast. He was the proud owner of a Voisin, a magnificent car with a fearsome radiator mascot of a bird in flight. If you look at most exterior shots of his buildings in the 1920s, you’ll see it parked outside. He just couldn’t help himself. At some level, it was his way of saying thank you to Gabriel Voisin who had bankrolled the city planning exercise for which Le Corbusier is most remembered and most reviled – the 1922 Voisin Plan. 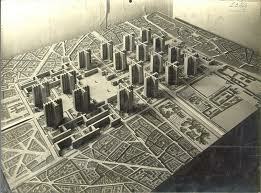 This envisaged the demolition and rebuilding of much of the right bank of Paris. 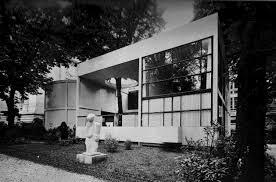 The plan was displayed to the world in a gallery next to his Esprit Nouveau pavilion at the 1925 Exposition des arts decoratifs et industriels modernes, a prototype apartment module that was ungraciously shoved into a corner as it was thought thoroughly outlandish, especially by one of Corbu’s old mentors, August Perret. It became the model for the apartments in his innovative Unite d’Habitation apartment blocks of the 1950s – for more pictures, see Fondation Le Corbusier. 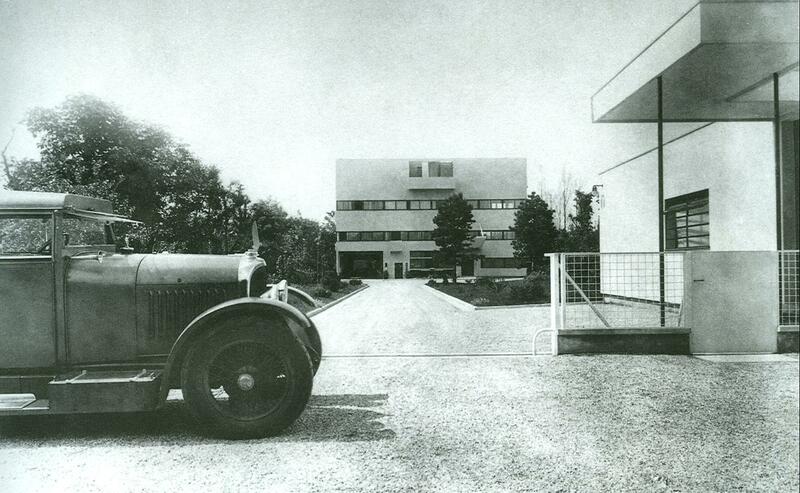 Anyway, in 1935 car lover Corbu came up with his own take on a basic car, calling it the Voiture Minimum. It’s not a million miles away from a Citroen 2CV in shape although the engine is at the rear. Sounds rather like a VW Beetle, n’est-ce pas? It was wide (three-abreast seating) and streamlined (sort of) and unlike anything on the road at that time. 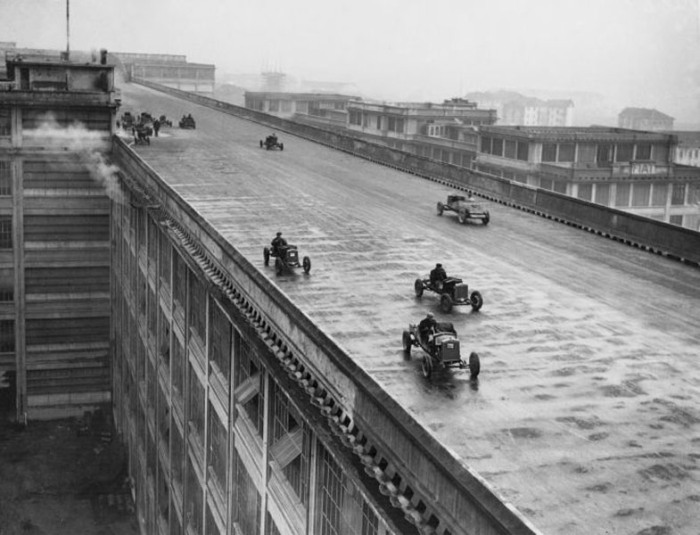 Corbu tried to interest car manufacturers in this radical design, especially FIAT whose startling factory in Lingotto had a rooftop test-track that had bowled him over on a previous visit. (This was the man who viewed rooftops as the perfect place for private gardens and sun terraces or communal running tracks and playgrounds, after all.) Sadly no one took him up on it and when the Second World War broke out, he seems to have dropped the idea. So that’s another reason why I love the Citroen 2CV. Not only does it remind me of my youthful adventures and a wonderful friend but it also leads me back to my favourite country and that fascinating architect. History on four wheels, in fact. Being a mother of 2 daughters, we are not a naturally car-aware household. (I know this is dreadfully sexist, but I was always astounded by friends’ sons being able to name make and model of cars virtually as soon as they could talk.) But when the girls were little, the ‘2 Horse’ as we called it, was always the easiest design on the road to spot – and somehow the sight of it just brought so much joy! You’ve started something here! Further research called for, I think. Thanks for your comments! The elevator IS the history of the 20th century architecture in so many ways, isn’t it. Thanks for your lovely comments.